In a few days my grandma turns 92! I just finished some placemats for her birthday, so shhh!!! I used a vintage pattern called Maker of Magic Bedspread. LOVE this pattern. So easy (and free)!! Instead of size 20 crochet thread like the bedspread calls for, I used size 3 and a 2.2 mm hook. 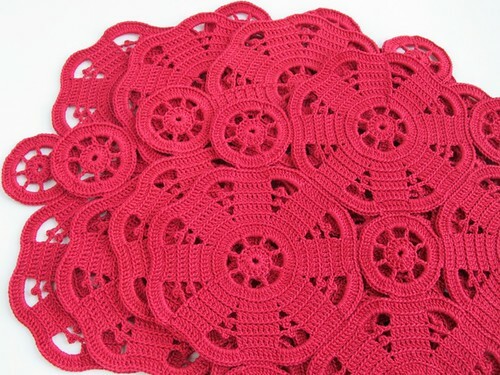 I made a total of four placemats. Each placemat took four large motifs and five little ones (which are just the first three rounds of the large), and used about six 150 yd. skeins of thread. They are about 14 inches in diameter, and for some size reference, here's a picture with my beloved Buddha Bowl. 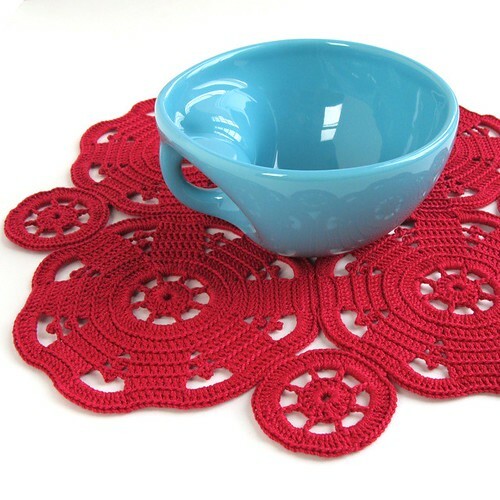 I think they could be used as placemats and/or doilies! Again, I just really love this pattern! 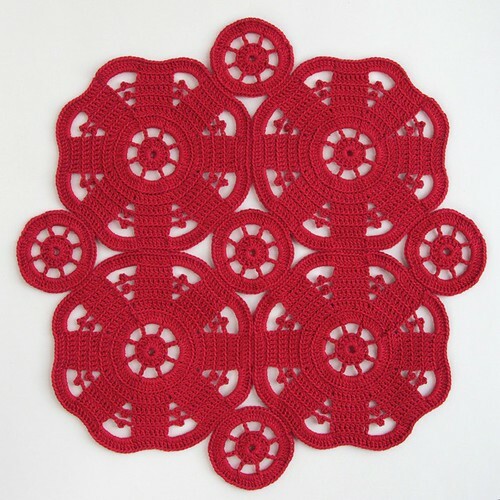 So simple, yet when you put the motifs together it makes really cool intricate looking designs. Well, I think so at least haha! I don't think this will be the last time I use this pattern! 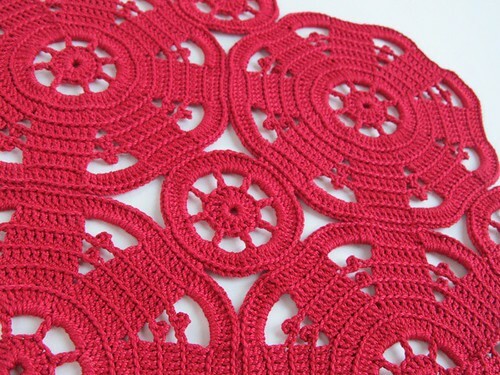 GORGEOUS placemats for your grandma - she will be so thrilled. I just love that red too! Such a lovely pattern. Great work, Kate! I love these placemats Kate. The shapes are so fun. Very cool pattern! Is that a size 10 crochet thread you are using? Wow! Gorgeous placemats, Kate! I hope you Gran has a light blue bowl to stand on one of them, because that last photo's stunning!!! Oh these are beautiful!! 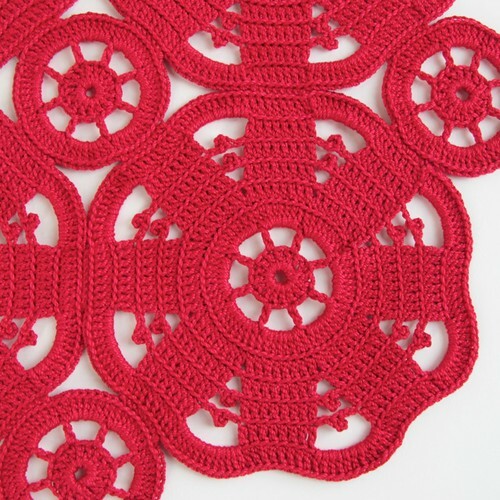 Might be very easy but my biggest obstacle is that I can not follow a crochet pattern at all. Such neat work.